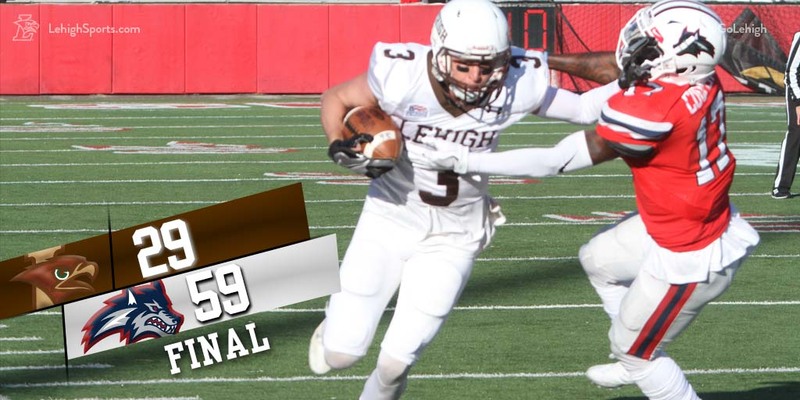 For those that care about these things, Lehigh entered the first round FCS playoff matchup 21 1/2 point underdogs. And if we’re being fair, that was probably the right number. The Seawolves were 9-2, nationally ranked with seven conference wins in the tough CAA and one of their losses coming to a very strong FBS team in South Florida. In contrast, unranked Lehigh came into the game 5-6 and only were here because they upset Colgate 41-38 on the road and won enough Patriot League conference games to win the autobid. 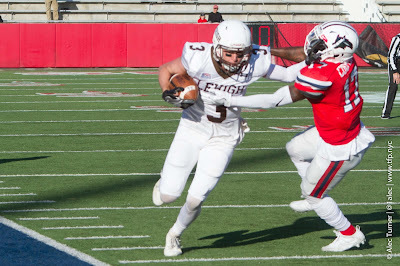 Yet a young Lehigh team was game to put their best foot forward and to have a heroic sendoff for potential NFL prospect senior WR Troy Pelletier, and in that, the game was a rousing success. With junior QB Brad Mayes expertly picking apart one of the top defenses in FCS, time after time he’d find Troy for reception after reception, each one highlighting his impressive skill set as an audition for the next level. It wouldn’t be enough to win the game, but it was enough to keep the Mountain Hawks within striking distance until the Seawolves would pull away in the 4th quarter. It was also enough to establish Troy as the all-time greatest receiver in Patriot League history. For whatever reason, you didn’t make the trip to Stony Brook, New York. You’ve popped your popcorn, iced your Yuenglings, and put the meatballs in the crockpot – and then you panic. How do I watch the game? What is ESPN3? Can I watch it on my TV? Do I need to subscribe to something? WHAT DO I DO??? Never fear. LFN’s here to help.